A common misconception is that bigger paddles and faster paddle speed is better. This premise is often confused and is not interchangeable with efficient and short period mixing. For instance, a mixer’s ability to generate shear is what defines its efficiency. Optimal mixing shear is the known lateral material force of liquid and solid ingredients within a contained area. When these principles of shear are understood, mixer paddle count, orientation, mechanical size, and rotational speed become deciding efficiency factors. Modern-day mixers and their ability to create a homogeneous mix in the shortest period depends on a manufacturer’s deep understanding of efficiency factors and the principles for creating shear. Since the invention of modern concrete mixing, there has been an evolution in technology. 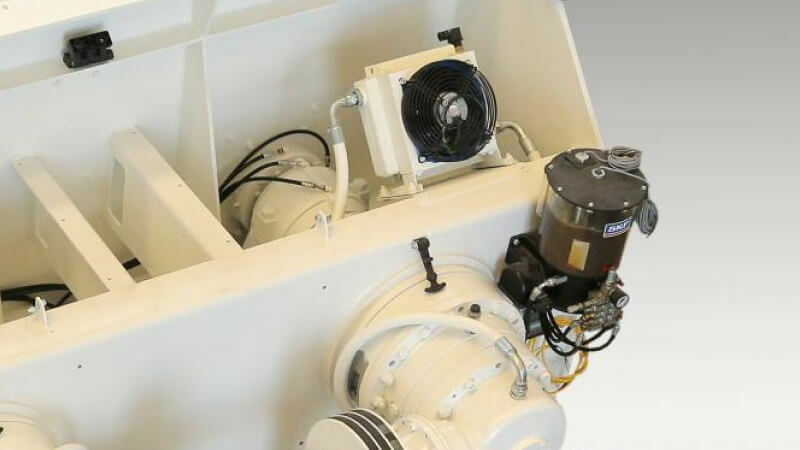 The truck drum mixer of today, which most closely resembles the original modern mixing invention, is now accompanied by other concrete mixing technologies. Most widely accepted by concrete producers of today are three dominant mixing technologies: Planetary, Horizontal Shaft, and Colloidal. Over recent years there has been an increasing preference shift for twin shaft or planetary mixers for all concrete types. Following the early invention of the rotating pan mixer, the birth of planetary mixers gave life to countless product innovations. A pan mixer’s fixed center design moves a paddle through material in a race track rotation pattern. In comparison, planetary mixer design moves a paddle through material in a rotating star pattern. This star pattern, coupled with higher rotational speed, creates a countercurrent mixing action optimal for achieving a true homogeneous mix in the shortest period for a variety of concrete types (SCC, Control Flow, Low/Zero slump, and Grey/Conventional). 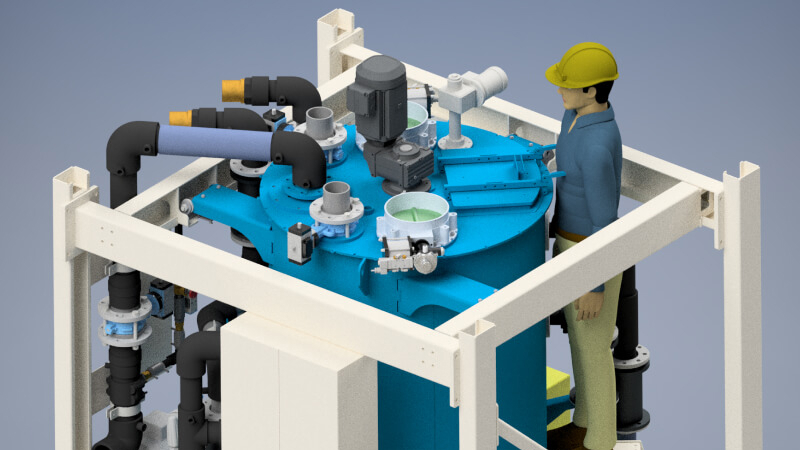 Unlike pan mixers, refinements over the years have improved planetary mixing technology to the point where operational cost reductions have been realized. Arm angles, shovel paddle profiles, and wear liner advancements allow planetary mixers to produce results in shorter periods, with extended wear part life, while eliminating a need to over-engineer mix designs. 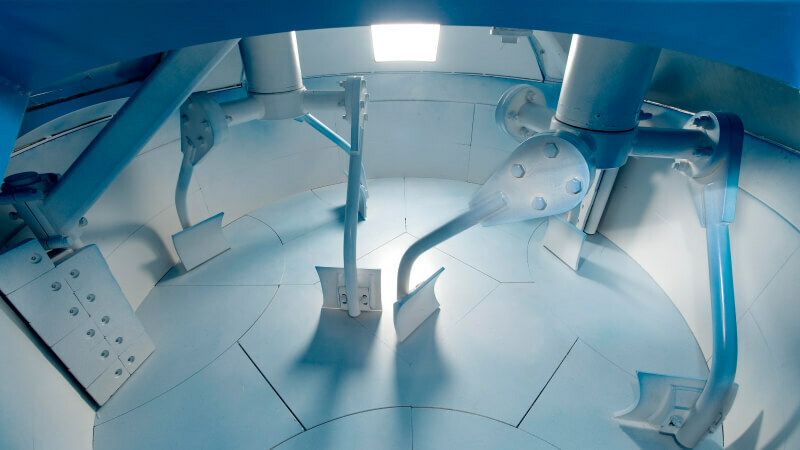 In combination, these planetary mixer attributes help increase production capacity, reduce cement consumption, and lower planned and unplanned maintenance costs. An important comparison: planetary mixer technology requires a greater initial investment versus a pan mixer. However, the total cost of ownership (TCO) quotient is considerably less. Based on a daily production volume of ~50 yd3, the return on investment delta is less than 24 months. There are two prominent types of horizontal shaft mixers: single shaft and twin shaft. Historically, single shaft mixers are most popularly used for producing zero slump concrete. A twin shaft mixer is a workhorse for concrete production. The output capacity range (1 yd3 – 12 yd3) and low operational cost per cubic yard produced, are two attributes unmatched by any other mixer type with comparable speed and high-strength concrete production ability (SCC, Control Flow, Low/Zero slump, and Conventional/Grey). An emerging approach to enhance concrete mixing effectiveness is by incorporating a secondary mixing process for water, cement, fly ash, silica fume, slag, etc., prior to the introduction of aggregates. This colloidal mixing technology creates a slurry or thick fluid containing the micro silica, cements, powders, etc. which ultimately coat the aggregate batch. Having this slurry prior to aggregate introduction allows for improved aggregate coating because binding agents are fully liquified which improves adhesion. This mixing approach yields higher strength concrete without increasing cement usage.